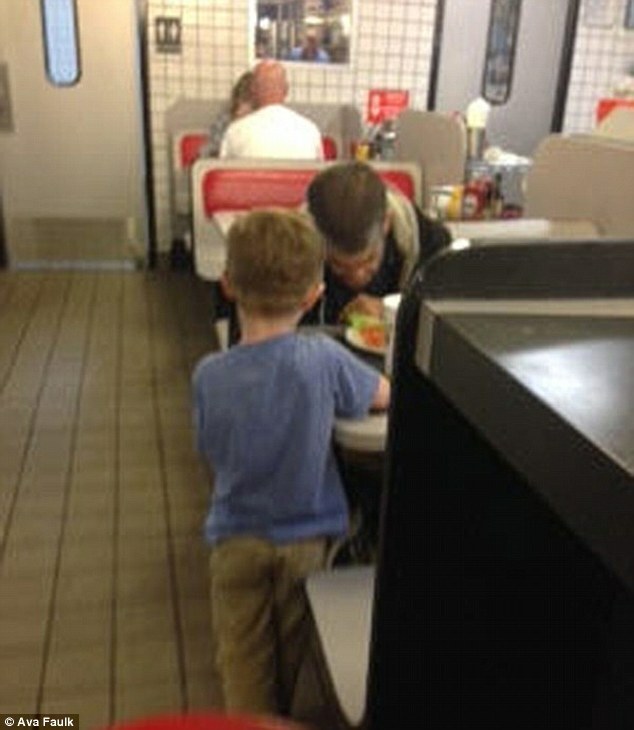 A young Alabama boy brought a group of Waffle House diners to tears when he asked his mother to buy dinner for a homeless man he saw outside – and then sang a blessing with him at the table. Ava Faulk said her son Josiah Duncan, 5, wouldn’t stop asking her questions when he spotted a disheveled man holding a bag with his bike outside the restaurant in Prattville. 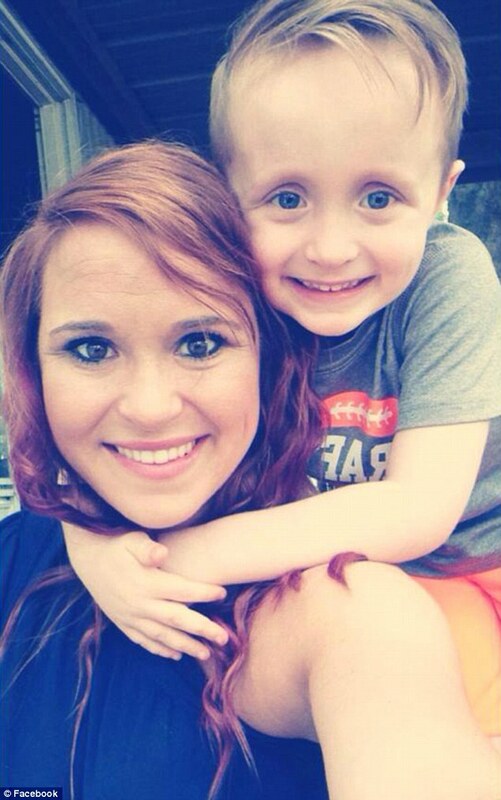 Ava Faulk said her son wouldn’t stop asking her questions when he spotted a disheveled man holding a bag with his bike outside the Prattville, Alabama restaurant before begging his mother to buy the stranger dinner. But Josiah was most concerned that the stranger didn’t have any food, and he begged his mother to buy the man a meal at the restaurant, she told WBTV. The mother agreed, but when the man sat down at the restaurant and ‘nobody really waited on him’, Josiah decided to take matters into his own hands. He ‘jumped up’ and asked the man if he needed a menu, telling him ‘you can’t order without one’, Faulk said. When the man insisted he would be fine with a simple cheeseburger, Faulk made sure he knew he could have anything he wanted. The mother remembers that, when he asked if he could have bacon, she told him ‘get as much bacon as you want’. When the man insisted he would be fine with a simple cheeseburger, Faulk (pictured) made sure he knew he could have anything on the menu and told him to ‘get as much bacon as you want’. And before the man could dig in, Josiah said he wanted to ‘say the blessing with him’, singing loud enough for the other 11 customers in the restaurant to hear. Faulk said everyone, including the man, teared up. It’s a moment the mother said she will never forget. Before the man could dig in, Josiah said he wanted to ‘say the blessing with him’, which he sang loud enough for the other 11 customers in the restaurant to hear.